Dubai, UAE: The declaration from a Dubai Government official that worker lives are being put at risk due to firms failing to properly clothe and protect them has garnered the attention of global health and safety companies and manufacturers of Personal Protection Equipment (PPE). Raed Al Marzouqi, Head of Occupational Health and Safety at Dubai Municipality, told delegates at the recently concluded BOHS Worker Health Protection Conference in Abu Dhabi, that 99 per cent of work-related accidents in the UAE are the fault of the employer. The BOHS Worker Health Protection Conference was told of instances in which workers have suffocated due to a lack of protection to harmful materials, while others have died in falls from buildings because they were not wearing harnesses. Basic training in the construction industry is also often not being delivered properly, it was claimed. In response, international companies specialising in safety and health at work are rolling out a series of training programmes along with new technical textiles and PPE at the upcoming Intersec trade show, which takes place from 22-24 January 2017 Dubai International Convention and Exhibition Centre. Derekduck, an innovator of nonwoven chemical protective clothing, is among more than 220 exhibitors at the three-day event’s Safety & Health section, and will launch two new products under its Ultitec brand name: the Ultitec 1800 lightweight, breathable waterproof protective clothing; and the Ultitec FR Plus flame retardant protective clothing line. Jason Lin, Derekduck’s General Manager, said its CE certificated type 6 to type 3 garments offer protection against hazardous particulates, liquid spreads and chemical liquid jets, and were used in the Ebola outbreak in West Africa, and during Japan’s Fukushima nuclear power plant fallout. “We’re proactively assisting our Ultitec distributors to develop our target Middle East and Asian markets,” said Lin. “We aim to popularise the importance of wearing protective clothing, as we believe that work safety is not only about focusing on PPE products, but more importantly, to establish and promote better work protection knowledge to management level for increasing worker safety. Giasco, an Italian manufacturer of safety shoes that exports to more than 80 countries, is another Safety & Health exhibitor at Intersec 2017 that will launch its 2017 catalogue with several new styles and innovations. Alessandro Schenato, Giasco’s Export Manager, said although in the past cost was a deciding factor in PPE purchasing decisions among regional companies, worker health protection is now more paramount. “Our business is increasing a lot in the Middle East in the last few years, due to the higher quality standards required in this market today compared to 10 years ago when the price was the main topic,” said Schenato. Now in its 19th edition, Intersec is the world’s leading trade fair for security, safety, and fire protection, and will feature more than 1,300 exhibitors from 54 countries. Safety & Health is one of seven sections at the annual showcase, and has witnessed rapid growth over the last five years, further underlining the importance of Middle East worker health protection. “With governments and regional industries increasingly prioritising worker safety and wellbeing, the importance of using the right protective clothing and safety equipment to ensure workplace safety becomes paramount,” said Ahmed Pauwels, CEO of Messe Frankfurt Middle East, the organiser of Intersec. 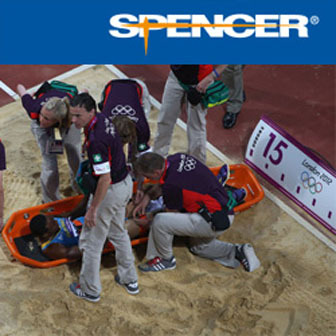 Meanwhile, other headline Safety & Health exhibitors offering a wide spectrum of professional and protective clothing, footwear, and PPE include Granberg, Draeger, Cofra, Delta Plus, Dickies, Nebosh, RRC International, Safety Jogger, and Texport. Granberg, a leading glove manufacturer, will showcase its speciality PPE gloves. The Norwegian company is rated AAA-maximum by Bisnode, and won the prestigious Red Dot Award 2015 for outstanding design for its 9001 & 9002 models. Dräger, leaders in medical and safety technology, will showcase the Dräger FPS-CPM 7000 integrated communication unit designed for fire protection services. The system is capable of transmitting clear signals with minimal static and prevents any interference. Koen Paredis, President of Dräger in the Middle East and Africa, said the company is targeting fire services, oil and gas industries, chemical and petrochemical companies and mining operators across the region. Intersec’s other core sections include Commercial Security, Fire & Rescue, Homeland Security & Policing, Information Security, Smart Home and Physical & Perimeter Security. More information is available at: www.intersecexpo.com.